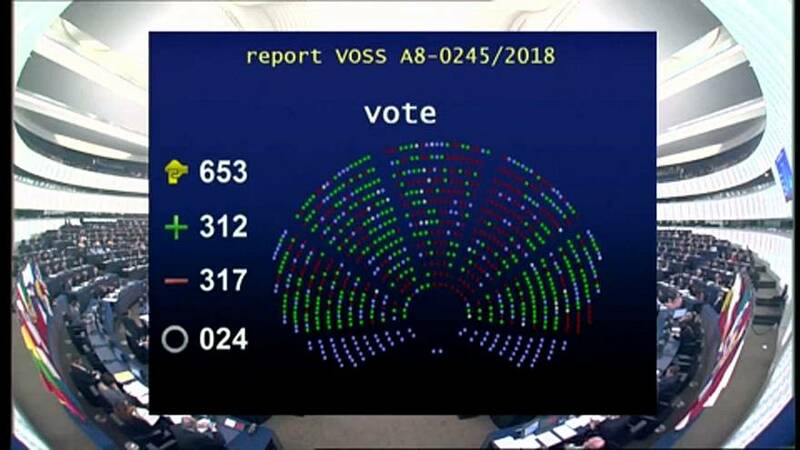 "I'm very relieved that we achieved to announce something and give the signal to all our European creators that the European parliament is on their side," said German MEP Axel Voss. Greek MEP Maria Spyraki, a former journalist, added: "For all of them, that are protesting in the streets, I would like to say that the liberty of us is finishing, diminishing when it starts the liberty of the others, when the rights of the others has started." But supporters say it will improve the position of producers. Dutch MEP Marietje Schaake said: "People are promising that publisher rights are going to save the media. If was only that simple, I really think that there is more that needs to happen to protect a pluralist, quality journalism." While Evelyn Gebhardt, a German Socialist, commented: "It is a problem with the internet and upload filters and we don't want to have censorship and we know that many little platforms don't have the money to make these filters and so we have to pay them by the big American societies." Google says the reforms will lead to legal uncertainty and hurt Europe's creative and digital economies. Consumer activists say their concerns have been ignored. The overhaul will now go to the European Council, expected next month.